Granite is always possible to scratch a surface, even a diamond, if it is subjected to sufficient force. However, Granite has a very hard surface and will not scratch under normal use as a kitchen countertop. Go ahead and cut on it but your knife will become dull. Granite is a porous stone and therefore is subject to the potential of staining. The porosity varies depending upon the minerals that are present in the granite. To protect the granite surface from staining it should be sealed at least once per year. Our recommendation is twice per year just to assure it is done once. Any stain that occurs in Granite can be removed. What colors are available in Granite? An overwhelming majority of our customers prefer the standard polished finish. This finish brings out all of the beauty inherent in the granite. There are some customers who prefer a subtler look that is called honed. Honed is achieved by either omitting the final polishing steps at the quarry or by mechanically removing the polished finish with abrasives. Other types of finishes used primarily in floor applications, (e.g. flamed, hammered, sawn or jet washed), are available but will require special ordering. Will my countertop require a seam? The necessity of a seam will be reviewed when our technical expert does a “Detail” for your particular granite installation. The potential to damage a piece that has a challenging geometry. Be assured we will do all we can do to limit the number of seams. How big will the seam be? Standard in the industry is a seam width of 1/16 +/- 1/64 of an inch. There is a maximum lippage (amount one piece will protrude above another) for the industry of 3/32 of an inch at the center point of the countertop with no lippage at the ends. The professionals at SS Const. use special tools to assure that the seam will be much tighter than industry standards. You should be able to freely slide your fingernails over the seam with no interference. Additionally, our technicians are trained in how to color match the filler in the seam to the color of your granite. Is a higher priced granite better quality than lower priced granite? 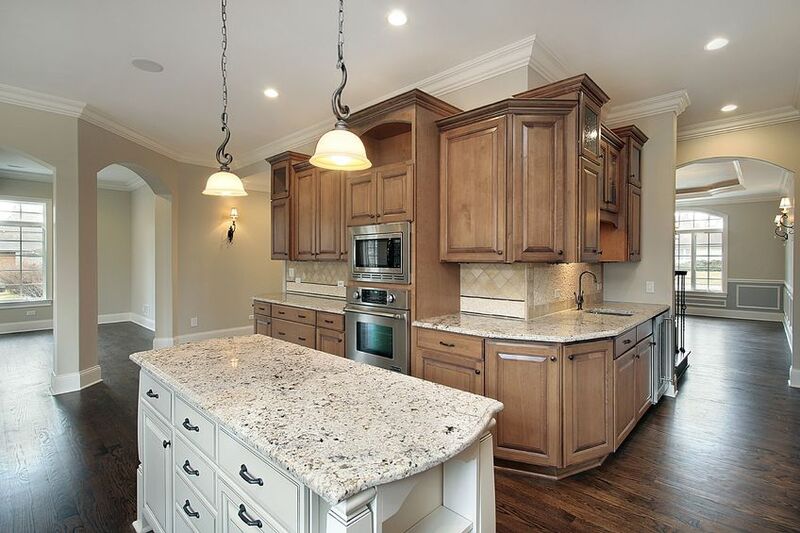 No, the price of Granite is based primarily on two factors one is availability (the lower the supply the higher the cost) and the second is where it is quarried with the associated transportation and labor costs. Granite from SS Construction, no matter what the cost, will be a high quality stone. The Marble Institute of America (MIA) states: “Bacteria requires several things in order to thrive and grow: oxygen, sunlight, water, nutrients and a substrate to form on. The minerals found in granite are toxic to bacteria. As a result there is no habitable environment for the bacteria to live and grow on a granite surface.” The MIA has also conducted independent research on bacteria growth on countertop materials. Granite was second in inhibiting bacteria growth only to stainless steel.